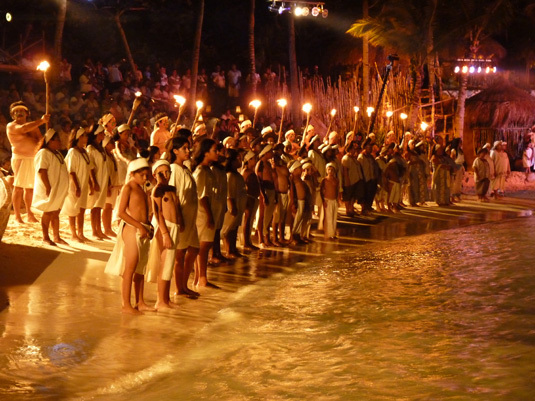 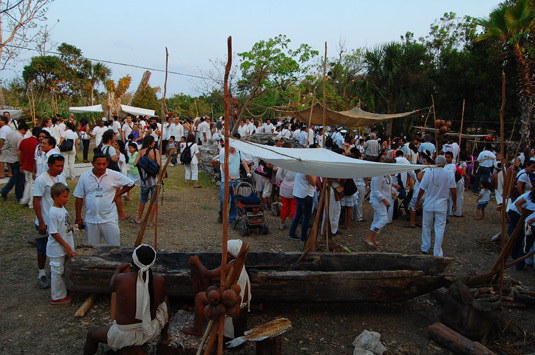 Yesterday's afternoon, Xcaret Park was filled with tradition and mysticism for the grand opening of the 5th Sacred Mayan Journey, a recreation of the ancient Mayan tradition of worshiping moon goddess Ix Chel. 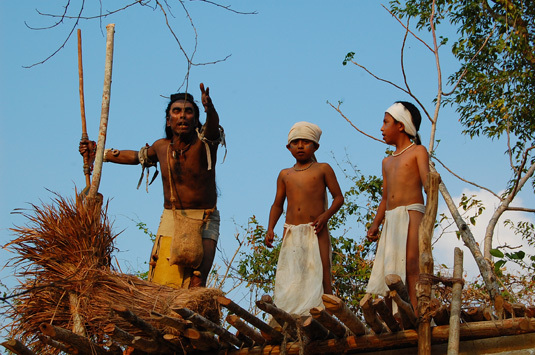 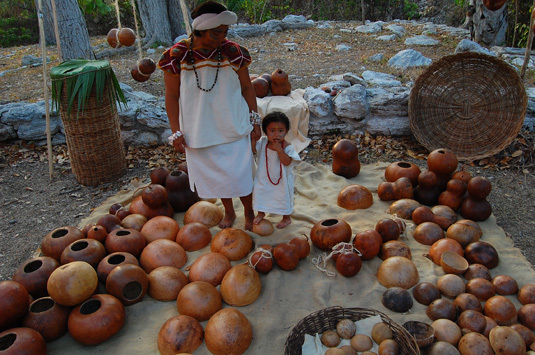 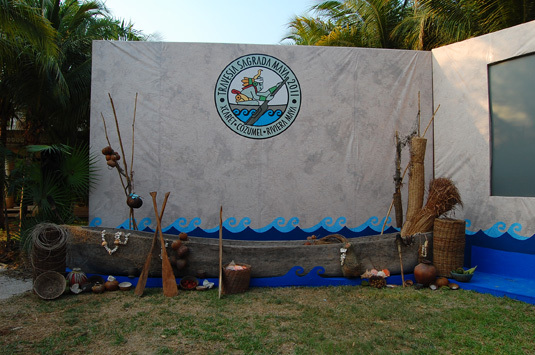 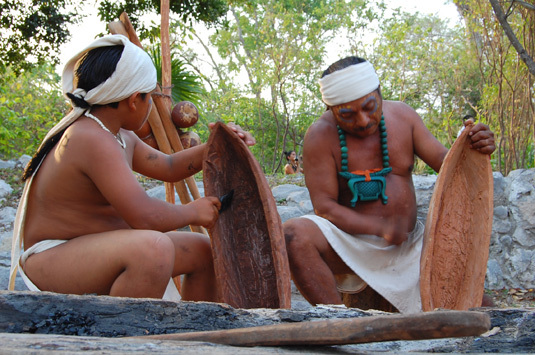 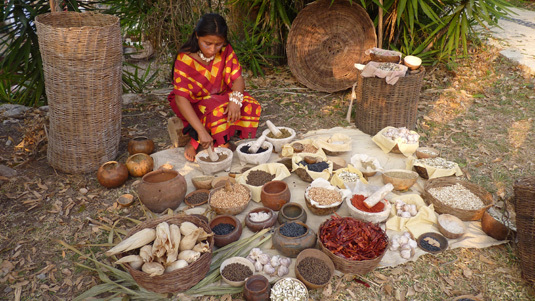 The event began with the representation of the ancient market of Ppolé (original Mayan name of the place where the eco park is located today) where visitors were able to buy original handcrafts & food, using ancient Mayan currency – cacao seeds.. 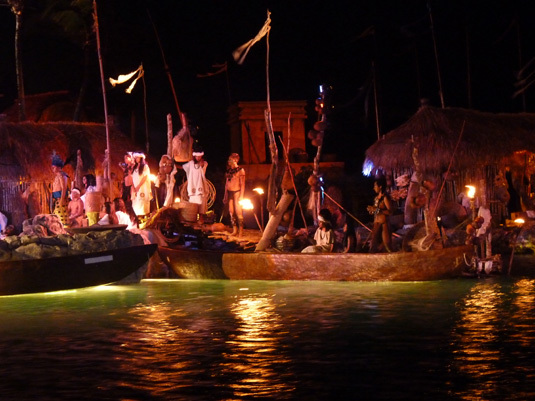 The night ended with the official inaugural ceremony, with a show that transported guests back in time. 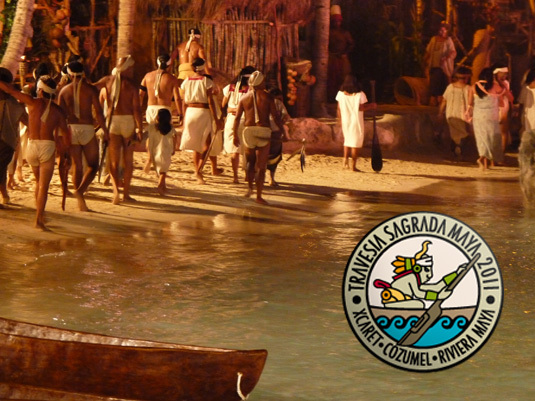 Starting today, more than 300 canoeists will begin the journey to Cozumel Island, where the temple of the goddess is located.